Have you ever asked yourself what makes you choose this very product? Is it the style, design or quality, or is it a commercial that appears on TV over and over again? In this post, we will try to answer one of the frequently asked questions which is what’s the most effective way to influence and change customer behavior? When it comes to choosing one product versus another, consumers – whether consciously or subconsciously – weigh a variety of factors. In an effort to organize these factors, it would be appropriate to create two distinct categories. There are product factors and non-product factors. Product factors are directly related to the product itself. They are based on such criteria as quality and price. Then you have non-product factors. These are aspects that aren’t directly related to the product itself, but still, influence a customer’s decision. Specifically, there are five non-product factors that commonly come into play. From a business perspective, you need to consider these as much as you do the product factors. The way the brand name sounds and the images it evokes both impacts the purchase decision. It is hugely important. If we are speaking about the physical retail environment it is clear that the better location on the shelf will help you see better results. But if we are talking about e-commerce businesses product placement looks a little different. Placement is all about getting your product listing on the first page or in the sidebar. This is the factor which is like a chameleon because it can fall in both factors categories: as in product factors and non-product factors category. It all depends on the industry. The challenge here is determining just how price sensitive your target market is. In an age where social media is king, word of mouth marketing is the key to promoting and maintaining a positive reputation. You better spend a considerable amount of time and effort perfecting your product or service image if you want to grab attention and positively influence purchase decisions. Anyone who sells things for a living, online or offline, should know, love, and live these principles. They work as triggers in the buying-selling process. The principle of reciprocity means that when someone gives us something we feel compelled to give something back in return. The principle of commitment and consistency says that people will go to great lengths to appear consistent in their words and actions – even to the extent of doing things that are basically irrational. Every element of your enterprise – colors, fonts, photo styles, copy – contributes to your brand personality, and your goal is to create a personality that is cohesive and that your target customer will like. People are more likely to purchase something if it’s recommended to them by someone they know and trust. So make sure that your product pages have links to Twitter, Facebook, Pinterest, and Google+ so that your customers can tell their friends about the great product they just found on your site. Lots of psychological experiments have demonstrated that people cannot resist the influence of the authority. So as soon as you can earn such a reputation you can turn into a manipulator (in an adequate way). The principle of social proof is connected to the principle of liking: because we are social creatures, we tend to like things just because other people do as well, whether we know them or not. Anything that shows the popularity of your site and your products can trigger a response. The final principle is the principle of scarcity, which states that people are highly motivated by the thought that they might lose out on something. How can you use it? You can attract people if you offer them a bargain. 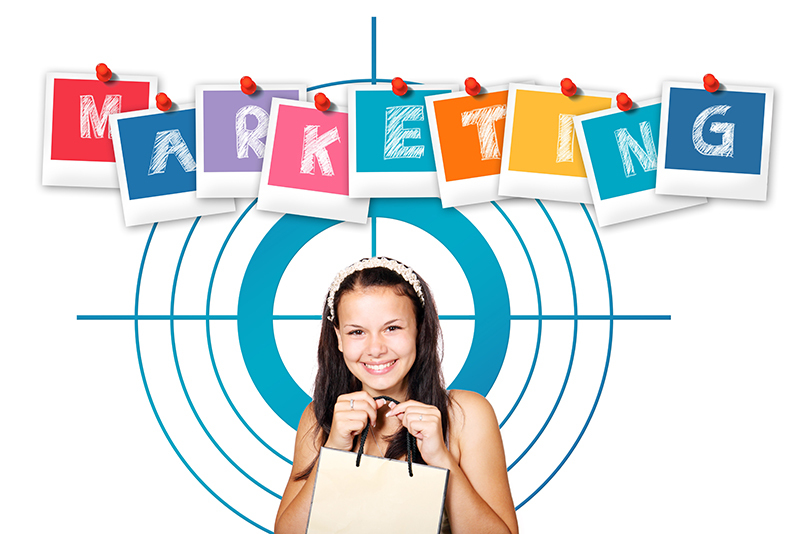 How to make your target customer choose you? 1. Make your client feel uniquely special. Attract your target client by being attentive but not bossy. Remember that how your client feels with you will influence the decision that he will make. Exchange pleasantries without going to a hard sell first. Your attitude must be one of friendly service and interest in them. 2. Offer lots of information. Consumers look for trustworthy, knowledgeable individuals to educate them on a purchase. Trust is the most important factor leading to long-term relationships and repeated sales. Telling the story can be effective in both directions: firstly, you need to tell the story of your brand. Because it will help your target audience understand you, learn more about your ambitions, plans and products or services. Secondly, telling the story can be not that vast but more detailed and specific. Tell your customer how did you invent this new process of working? What did your inspiration come from? Stories are a powerful connector which will become “part of your product,” and the buyer will retell those stories when showing their purchase to others. Nothing causes so much trust as honesty, openness, and reliability. These very traits help to create an authoritative name and reputation. Make sure that you avoid talking the talks. Be realistic, and then exceed their expectations! 5. Provide a high level of service. Show respect for your customer in your every action. Be consistent with a quick response, and keep them well-informed. By focusing on your brand’s core values, identifying the ways your products and services change your customers’ lives, and creating an emotional experience for consumers at key touch points, you can engage your target audience in a powerful way that not only heavily influences their buying decisions but turns them into brand ambassadors. If you really want to influence purchase decisions, you need to look at the big picture and consider both product and non-product factors. Understanding why your customers are really buying from you will enable you to grow sales volume and create long-lasting profitable relationships. Customer Think, NG Data, Shopify, HandMade Business.